Virginia has been determined to finish off a bunch of projects that have been on the needles for a little while (of course “little while” is a relative term – for me, it might mean months and months, for her, just long enough to start impeding on the creative process). Nevertheless, I’ve hardly had a chance to keep up with the blog posts, so this one will showcase three of the projects most recently finished. But, before we go in to that, I also want to say thanks for all the encouraging and thoughtful comments and messages re. my last post. I can’t say it enough, it really does make a difference getting through difficult periods knowing there are people who genuinely care about you. 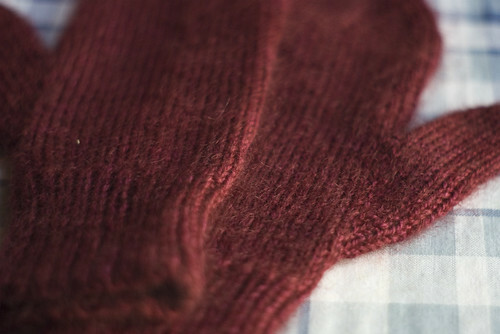 These mittens are knit using a combination of Rowan Kidsilk Haze and Fleece Artist 2/6 Merino. The pattern is Theresa Gaffey’s mitten pattern #49. I’m happy to benefit from so much great knitting. 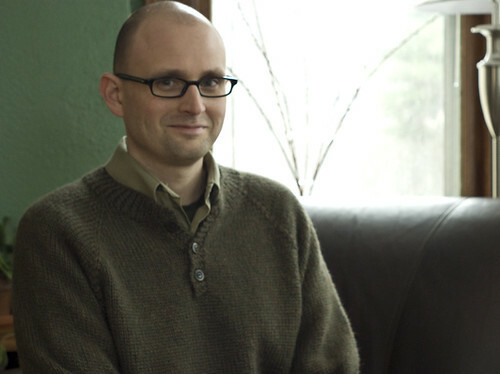 This sweater, Pure and Simple Henley, is made with Misty Alpaca Chunky (it is unbelievably soft, not to mention warm). 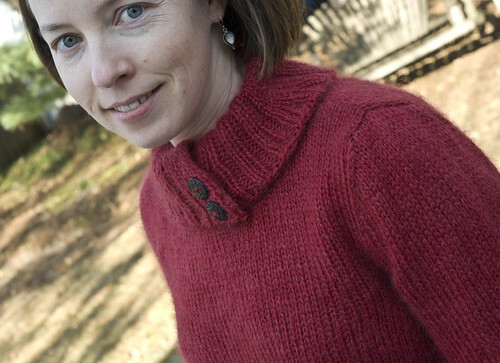 For herself, Virginia knit this Kim Hargreaves design (Magnolia, from Rowan Vintage Knits). She used a combination of Kidsilk Haze and Kid Classic.